Winter 2018 is now at the doors and temperatures are rapidly falling in almost all of Italy. It is best not to get unprepared for the cold coming and go in time to find the best heating system for your needs. Many businesses, such as workshops, car bodies, laboratories, warehouses, exhibition spaces, and warehouses, need a clean, fast, and above all cheap, heating system. Warming up an environment is a significant cost to a company's economy and if the budget becomes too high it is likely to become a serious problem. Biemmedue, a company in Cherasco, Piedmont, the world's leading heating company with its Arcotherm range of products, has developed a solution for warming environments with small surfaces: it is called Vertigo and is an indirect combustion hot Plug & Play hot air generator. 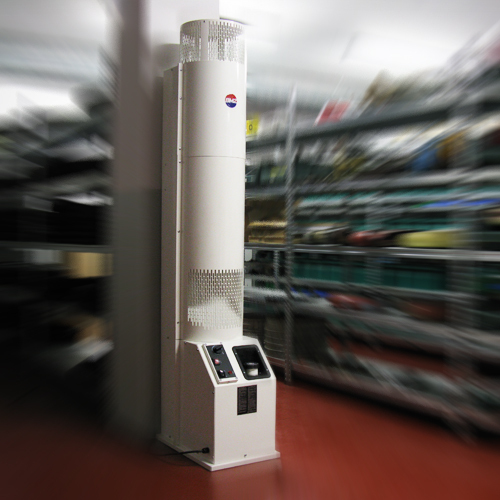 The Vertigo hot air generator is a ready-to-use, easy-to-install, and heat-efficient heating system for garage, workshop, workshop, store, exhibition, common space and so on. Vertigo is built to be ready for immediate use: fueled with diesel, complete with burner, tank and integrated thermostat. 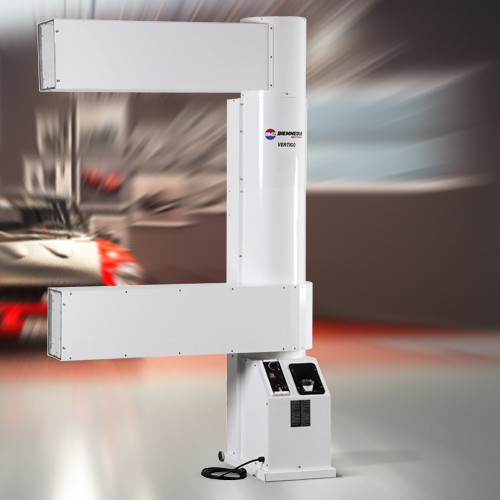 Vertigo does not require fixed installations for its operation and thus greatly reduces installation times and costs in particular; It can also be easily moved thanks to 2 retractable wheels mounted on the rear of the machine. The hot air generated by VERTIGO is absolutely clean as the combustible gases are conveyed outside the heated rooms through a drain hose. Being very quiet and equipped with Electronic Flame Control, Vertigo can be used in surface environments such as restaurants, churches, meeting rooms, etc. Thanks to the return and return air connections, Vertigo can be positioned outside the room, and through the holes in the wall can convey the air inside by minimizing the noise. Whatever anomaly would be detected by this type of equipment, it results in immediate shutdown by generator block. This guarantees very high safety standards. Vertigo also does not require any major maintenance: the cleaning of the components is a bit simple and must be carried out every beginning or end of the season. High heat output, immediate use and energy savings make Vertigo a perfect heating system for medium sized premises.